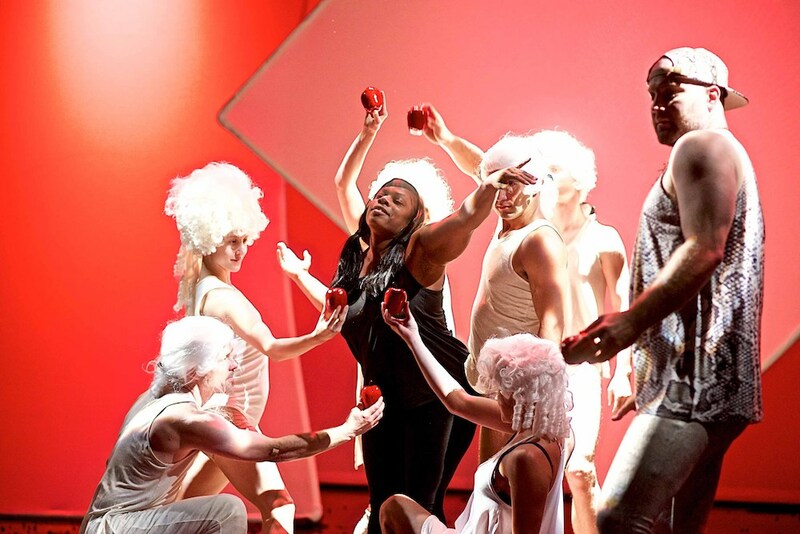 The performing arts are inherently colorful, vibrant, and varied. Which is why it’s so very perfect that the Rose Wagner Theatre in downtown Salt Lake City exists. It’s perhaps the city’s most versatile performing arts venue when it comes to design, space, amenities, and companies who call the building home. 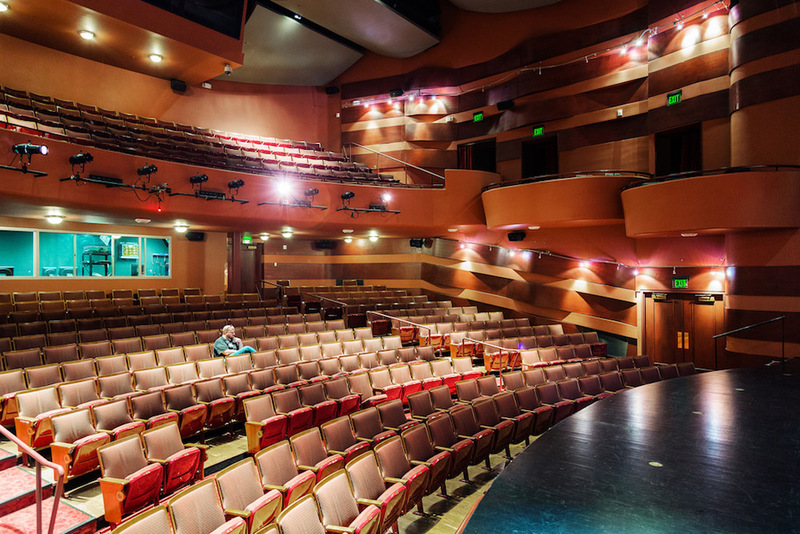 Utah culture is steeped in performing arts (in fact, the state leads the nation in performing arts attendance), and over the last few decades, a multitude of new companies formed in Salt Lake and needed a place to call home. 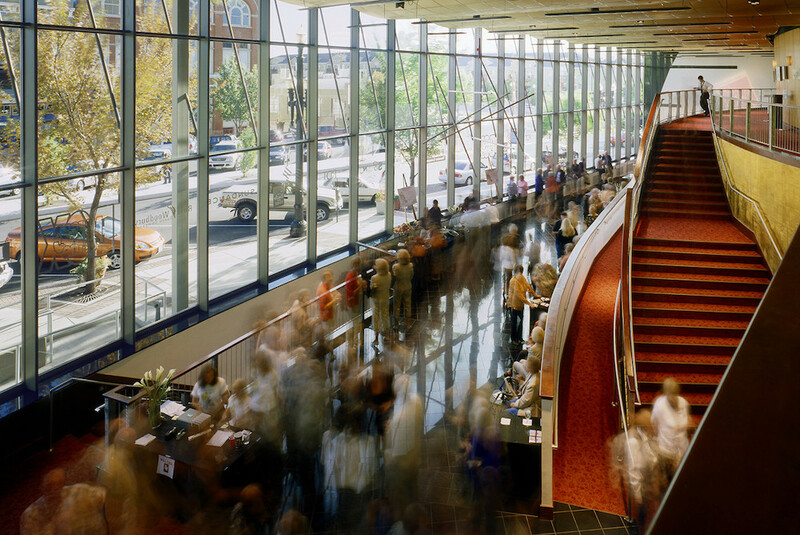 The city’s older mainstay venues anchor Salt Lake’s traditional arts like the ballet, opera, and symphony. 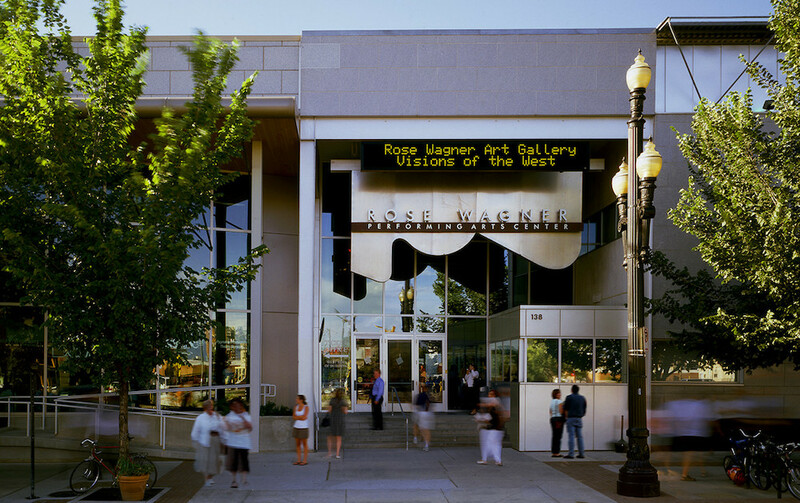 But the newer Rose Wagner, built in 1997, arose as a place to welcome the unconventional and unexpected. It hosts a wide variety of artists ranging from the well-established to the freshly emerging. The building’s modern-comfortable design incorporates three theatres ranging from a large 500-seat theatre to a cozy 180-seat theatre and an even more intimate 75-seat space. But the building doesn’t feel like just a place to passively come view the arts: it includes multiple studio spaces for dancers and performers to practice, plus multiple permanent and rotating art installations and displays. “The Rose,” as it’s affectionately called, feels less like a static venue and more like a living, breathing workshop where artists hone their craft and the public comes to participate. Here, there’s always something new. The companies that call Rose Wagner home deliver a colorful kaleidoscope of performance types—so it wouldn’t be inaccurate to say there truly is something for everyone. Any theater regular or newbie interested in sampling a new way to experience the arts should check out the theater’s calendar and start making plans. Ever seen a live piano competition? The Gina Bachauer International Piano foundation, based at the Rose, sponsors musical events, concerts, and piano competitions for young, junior and amateur players. The foundation sponsors these events to make them more accessible to a wider variety of audiences and performers. 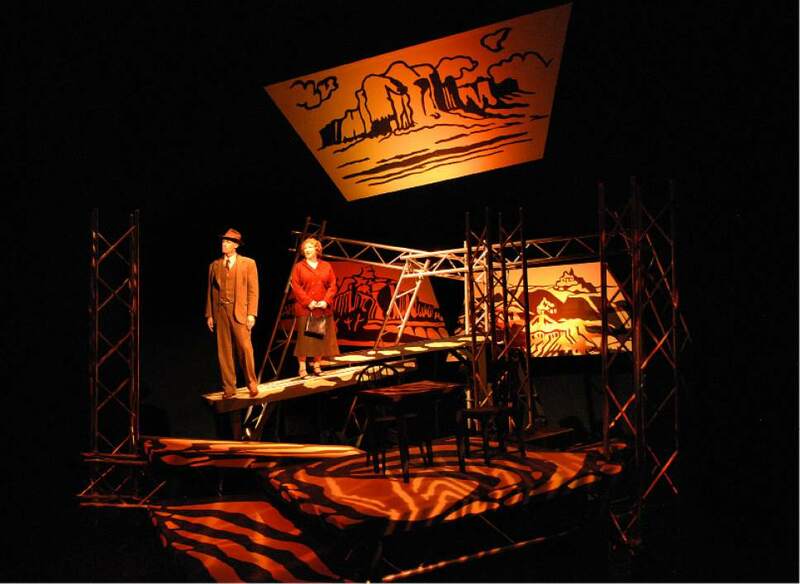 Then, there’s always an evening with Plan-B Theatre Company, an award-winning local company that nurtures local playwrights and focuses on work that portrays global issues from a relatable local perspective. If you’re a fan of modern dance (and generally once you’ve checked it out, you’re either a fan or are at least in awe of what they can do), the theater is home to three professional dance companies, including Repertory Dance Theatre, Ririe-Woodbury Dance Company, and SB Dance (Sweet Beast Dance Circus, if you’re looking for full names). Each of these companies delivers an exceptional performance; SB Dance in particular experiments with the avant-garde and irreverent. And not to be outdone, the Pygmalion Theatre Company gives voice to women playwrights, directors, performers, characters, and themes that reflect women’s lives. Their performances take place in a variety of mediums, all of which strike a chord with either gender and highlight the female element of the human experience. 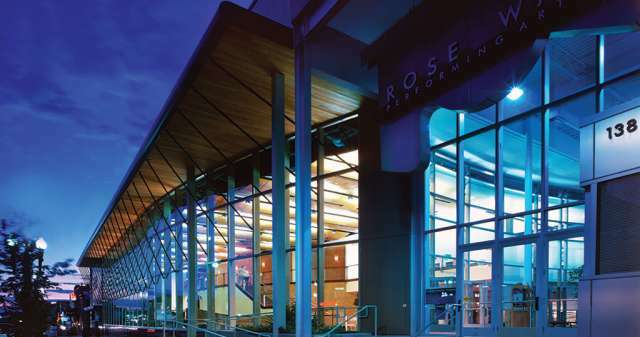 Ultimately every company and artist showcasing their craft at the Rose can promise a fascinating and audience-altering experience for anyone interested, from newbie theater-goers to fine-arts veterans. Listen to the performance—not a growling stomach. It’s easier to really make yourself comfortable in the theater seats when you’ve had an excellent meal first. Luckily for Rose Wagner patrons, the theater is situated between several culinary gems, as well as watering holes for washing down a good performance. Nothing beats a good local brewery for building an evening’s good vibes, and Squatters Brewery, situated across the street from the theater, doesn’t disappoint. Enjoy a delicious locally made ale paired with a forward-thinking pub menu. If you’d like to glam up your meal a little (well, a lot) and have a dressy evening out, look two buildings westward to Valter’s Osteria, where you can savor one of the finest Italian meals in town. The gregarious owner, Valter Nassi, personally tends to his guests’ experiences and makes the meal feel truly special. Don’t hurry home. Right at the end of the block east of the theater, the century-old Peery Hotel makes a comfortable landing spot for the night. The hotel is an artful—and sometimes quirky—blend of prairie craftsman architecture and classical revival elegance. Those looking for something more mainstream can go around the corner to the well-appointed Hilton at Salt Lake City Center, which offers a wide array of amenities and is perched right in the middle of the action downtown.